Attract and retain customers with real product reviews to influence the buyer journey, and gain more website traffic and on-page conversion. 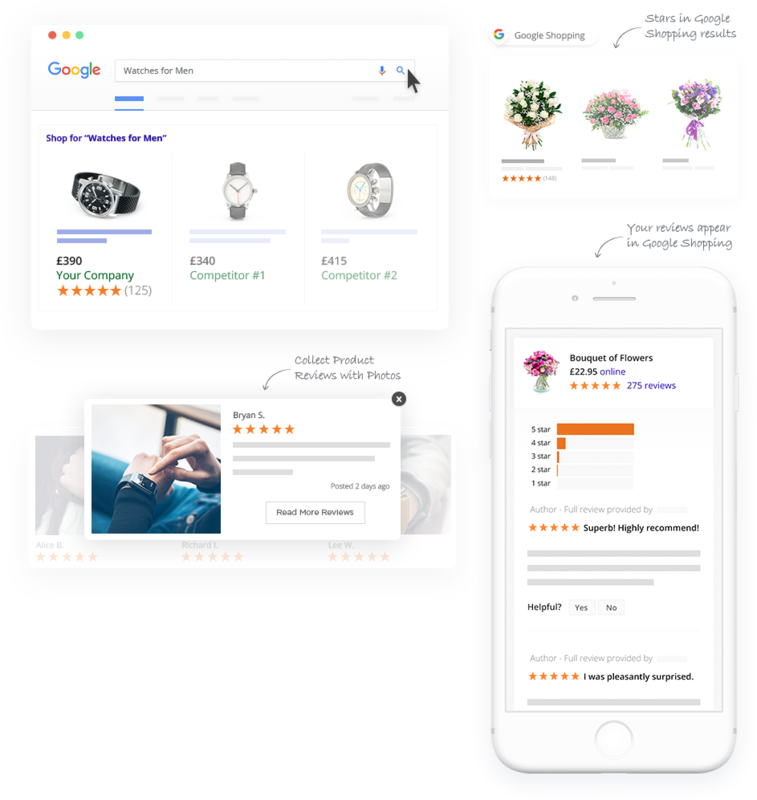 Product review stars will improve your Google Shopping performance by up to 28%. 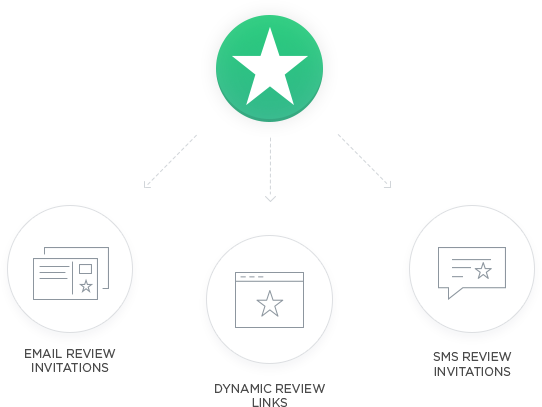 More stars mean more visibility, more clicks, and more conversions. 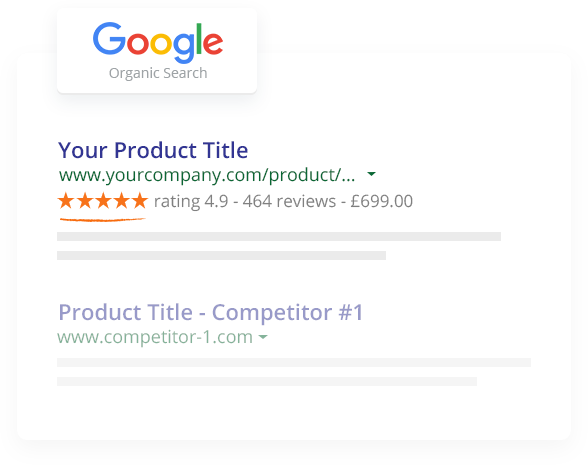 Review stars in Google organic listings boost your company's SEO using on-site user-generated content. 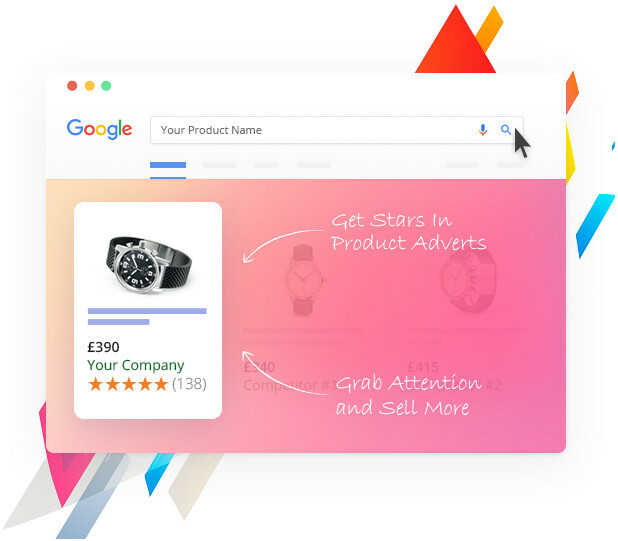 Product rich snippet widgets provide Google-friendly content, allowing customers to assess whether your products are right for them before they reach your site. Get the best conversion rates in the industry by staying on-brand with your drag-and-drop or HTML review invitation email designer. 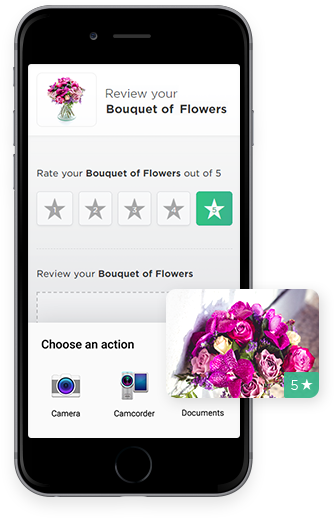 Ask for photo reviews, get real-time in-depth feedback and capture star ratings and comments, without your customers ever needing to log in. 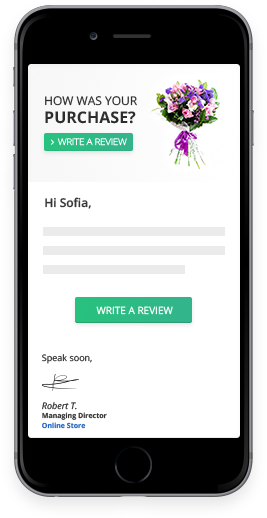 Collect reviews via SMS and give your developers full control over review invitation options by using the Reviews.io API. Product review content helps answer customer questions, supplying unique information not found elsewhere. Better-informed visitors stay on your site for longer, and are more likely to turn into buyers. 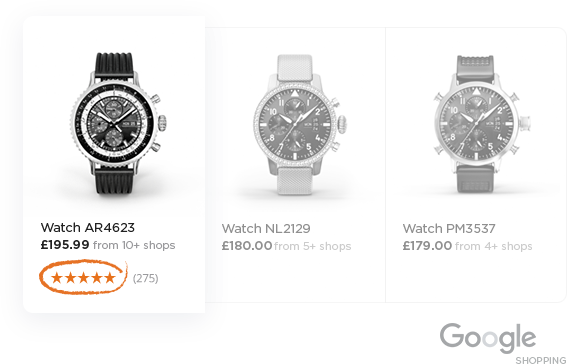 Increase on-page conversion through SEO-friendly customisable badges and widgets, or create your own with direct API access. 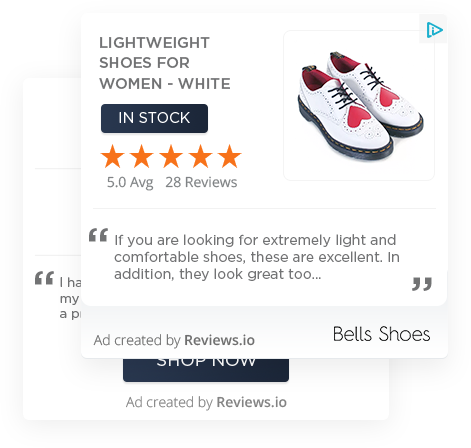 Turn past visitors into customers using review content in retargeted ads, a great way to take your reviews one step further on advertising networks like Facebook and Google.